A long happy marriage to the same guy is one of life's greatest blessings. Your story is beautiful and I wish you both more time together facing all that life throws at us! 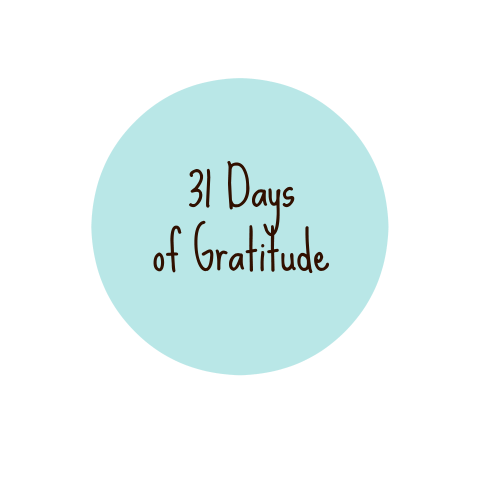 Happy Day 31 of Gratitude! What a wonderful compliment! To both of you! What a great story. I do know how you feel, I couldn't ask for a better husband and friend than I have in my husband as well. 😊 May you always have joy in your marriage. You both got lucky, and I'm sure Mike will agree. Funny about the backless dress... hmmm... There are few things more precious and beautiful than a good, enduring, and happy marriage. I'm one of the lucky ones, too. What a lovely post. I'm sad to see this month end. I have enjoyed reading all your Days of Gratitude. 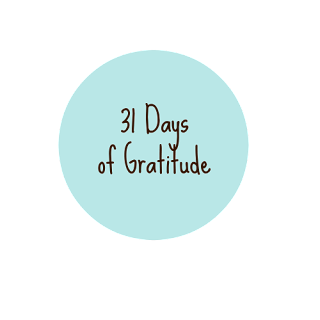 Helps one reflect on all the things to be grateful for in one's own life. I've got one of those husbands that never forgets anything...even after 27 years. He can rattle off what I wore on each of our early dates and at least once a week asks me if I know what day it is (there's always a story there - but if it isn't our first date, engagement date or wedding date, I'm usually at a loss. Sometimes he gives me hints). He thinks he got the better deal but I disagree!!! Gotta love our guys!